In the past weeks, we have been working with some 3D models done by another company with 3DSMax 2009, and exported to the 3DS file format, so we can read it. We realized that each model which included Bump Maps, had a wrong map percentage amount in the file. A note: In the case of Bump Maps, the real map percentage is not stored in the usual Map Percentage (as INT_PERCENTAGE OR FLOAT_PERCENTAGE, chunks 0x0030 or 0x0031), but in the MAT_BUMP_PERCENT (chunk 0xA252) that comes with the material (if you read chunks sequentially instead of by hierarchy, you will normally find it after the MAP_BUMP chunk). A material with a bump percentage of 999 in 3dsMax will report a percentage of 9 in the file. Of course, materials with more usual bump percentages (below 100), will report no bump at all (zero) in the file. In fact, if you export a model with a 90% of bump, and import back to 3DSMax, you will see that the bump texture is assigned correctly, but the bump percentage is 0. I installed today the trial version of 3DSMax 2010, with it´s hotfix, just to see if they fixed it. And no, the bug is still there. Will try to report to Autodesk. For those who still don´t know what is 3DSMax and what you can do with such a powerful program, some mind-blowing pics I´ve found at CGArena. They show the process of creating a human-like 3D model, a replica of the Korean actress 'Song Hye Kyo'. ManagedDirectx is quite a bit outdated, and no longer supported by Microsoft, but it will make it for this example on custom action mapping. I´d suggest you to go XNA or SlimDX if you want to do some serious .Net graphics or game development. What´s this post about? It´s about having a decent controller configuration system. The first choice, of course, is to start looking at DirectInput´s Action Mapping. If you prefer to do that on your own (to get rid of the standard and no too customizable DX config dialog, for example), keep reading. The main task we want to make in our ActionMapping is to be able to save to disk and recover a controller configuration, which assign an InputDevice and an Object of that device to a GameAction defined by us. We will put all of our actions in an enumeration. Enum.GetNames ( typeof (eGameActions) ) : Will return a string with: "MoveForward", "MoveBackward" and so on. Enum.IsDefined( typeof(eGameActions), 6 ): Will return false because eGameActions doesn't have that member. Enum.Parse(typeof(eGameActions), string): Will try to convert any string representation of an enumeration, to the enumeration itself. PART 2: Inmediate or Buffered mode? DX standard Action Mapping works in Buffered Mode only, but we will want to provide a way of using both. Why? Because we want an Input library for all of our projects, regardless they fit best with a buffered or immediate mode. For a joystick, it´s quite trivial to map it´s objects to fields, because JoystickState was originally designed for that: joysticks (as it´s name states). So, the AxisX field will almost always be mapped to the X-Axis of the joystick. In buffered mode, you don´t get access to the whole structure of data. Instead of that, you call the GetBufferedData() method, which retrieves a collection of BufferedData objects, one for each changing object in the device. That means, if the device is absolutely stall, no data will be returned. We need a way to save and recover from a file something like this: Action="Steering Action" PhysicalDevice="Logitech G25" PhysicalObject="Wheel Axis". We will use XML based files to store the info. How? The first attribute is easy, just gameAction.ToString() to save, and Enum.Parse(typeof(eGameActions), attributeInnerText); to recover from the file. The third attribute.... aaaahhh. This is a little bit more tricky. We need a way to identify the device´s object we want to map the action to. What do we put in the XML file to identify the device´s physical object? It´s name? It´s ID? It´s offset? Any of them would work if we´d only need to recover info about a physical device, as it´s name, properties, etc. You can do that, looping through the collection Device.Objects, and searching by any of that terms. The problem is that we don´t only need that, we need to retrieve data from that object. In Buffered Mode, physical objects are identified through an Offset provided by the GetBufferedData method (inside the BufferedData class). If you look into it, you will realize that this offset is, in fact, the offset inside the JoystickState structure provided by the Immediate Mode. So, it seems we have found a unique identifier for our physical objects, that works in both immediate and buffered mode: THE OBJECT´S OFFSET. Map Action="Steering Action" PhysicalDeviceGuid="1820-12820-2147-94579-3426-4575" PhysicalObjectOffset="138452"
What is all that information? First variable is, of course, the current or last read value. It is an int as every DInput value is read as integer. Second value tells us if this action is mapped to an analog object with Force Feedback enabled. Third value will allow us to configure this specific action to be read as Immediate (instead of buffered, the default behaviour). Starting from there, I´d recommend you to store another versions of the data. FormattedValue, for example. It is useful to provide this container to your application, so it can transform the read data as you want it, storing the result there for your comfort. It is very common to have other typical formatting of your data too, like the value expressed in the range 0..1, or expressed as a boolean (useful for buttons). In order to make this conversions, you will need another step. Why every Controller Configuration has a Calibration step? Because you cannot know the range of the object the user selected for an Action. Analog objects, for instance, like pedals, joysticks or steering wheels, usually report an integer value between 0 .. 65535. But some of them will use other ranges. Buttons are retrieved as int too, with the values 0 or 128 only. To make things even worse, objects are sometimes read as inverted, what means that a button can be reported as 0 when un-pressed and 128 when pressed, or just the opposite. The same for analogs. So, it´s clear that you need calibration, a way to know the valid range for objects and if they have to be read as inverted or not. I´d suggest you to store those values in mRangeMin, mRangeMax, mInvertReading. With that information, you have all you need to transform the int value read to the range 0..1. Using this, you can make an Action to be true when it reached it´s max range value, or when it´s non-zero, or whatever you want. 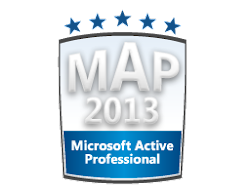 Or you can have the reverse, indexing first by the ActionMap, and taking the Device and Object´s Offset later. Choose your favorite option. Then, just define the ToXml() and FromXml() methods to store and recover all your configuration. The best place to store this configuration is the ApplicationData special folder. This way, the config will be made for every machine the application is installed, keeping a different configuration for each Windows user.To save the settings, just loop for every device in your structre saving it´s Guid, and a list of actions, just as we´ve seen before. Recover a device instance by it´s Guid: Just loop throught the Available Devices searching one with the same guid. DirectX Action Mapping has it´s own user interface to configure the mapping. It´s dark, misterious, ugly, unconfortable, strange, a little bit chaotic, uncustomizable, and as we are no longer using standard Action Mapping we can no longer use it. So, make your own config dialog, with the appearance you want, and the behaviour you want. Now, with your custom action mapping, making a new assignment is as easy as changing Action.PhysicalDevice and Action.PhysicalObjectOffset properties. Define a Timer object in your configuration dialog, which is started when the user presses the "Assign" button. Increment a Time Counter. If it reaches the amount of time for listening, get out. In this algorithm you should also apply a Thresold, because analog devices are almost always reporting small changes. So keep track of the first values returned in BufferedData for every physical object and when newer values come, calculate the difference between actual and first value. If the difference is bigger than Thresold, make the assignment. I am a Yahoo mail account user since 1996 (13 years old and counting!!). In fact, there was no Spanish delegation of Yahoo yet, so my email account is a .com, instead of a .es. Several years ago, Yahoo offered all of us to change to the newer Yahoo Mail, pretty well developed. After some years being the new Yahoo Mail in beta stage, they finally released as stable some time ago. However, I still cannot understand why several options inside the “Account options” tab are still in development. We are still tweaking!!! For gods sake! How many years you need to tweak ???? And what is even more annoying. I decided to pay for the Mail Plus version of yahoo, just to get access to the Back Up feature, to store all my mails. Well, this think NEVER worked. I paid for nothing. I tried it many times, but as I have thousands of emails, the process always stopped working in the middle. I really think that one shouldn't complain too much about something that is free, but when pay for something, one expects to receive some professionalism in return. Some days ago, a friend asked for my help with a problem. He bought a brand new Dell laptop with Vista installed on it. He is retired now, but he has been a consultant and manager for many years. During his life, he worked a lot with Open Access 4, and he currently has lots of files and data bases he wants to keep. The problem is that MSDOS applications compatibility in Vista has been remarkably degraded, compared to XP. Open Access worked, but tooooooo slow and with no support for full-screen mode… No matter what the application settings were (compatibility mode, admin. privileges, etc). After some days investigating, I´ve found a very interesting project that solved all my problems: DOS Box. DOS-Box is an X86 emulator with a built-in MSDOS version. It has been designed to allow playing old games again, with sound, decent fps, and in full-screen. There are even GLIDE and OpenGL enabled versions out there. You can download it and make a donation if you want here. How to use it? Easy, install and run, or plug and play if you prefer. If you don´t wont to deal with mounting drives, and all that stuff, you can use a FrontEnd application for DosBox, many of them also available from the download link. I have tried DosShell and works pretty well. 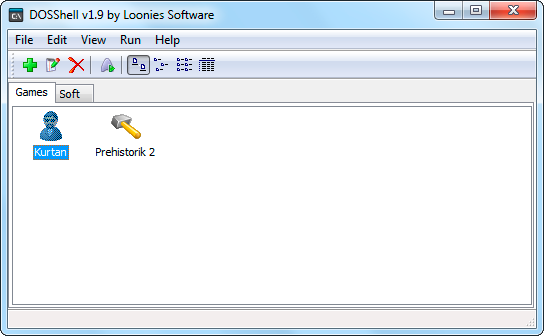 Just install it and configure the DosBox path: Edit –> Preferences –> DosBox Folder. Then click on the “plus” icon to add shortcuts to your applications. Hit return, and now it should work. Como un colega dijo el otro día refiriéndose a estos pavos, hay gente que tiene talento y punto. ¿Qué es tener talento? Talento es cuando estás en plenos 80 o a principios de los 90, y mientras todos escuchan Grunge como locos y flipan con Nirvana, vas tú y te sacas de la manga un temilla como Creep (1992), primer single prólogo de un discazo como Pablo Honey (1993). Coldplay mola mucho, pero tienen en RadioHead un precedente que todo el mundo debería conocer.